Raatz Fence Company has been a leader in fencing and access control systems since 1971. We pride ourselves in offering our customers the finest products and service in the fencing industry. We are continuously working to provide our customers with personal service that will make their fencing experience worry-free. Your home or business is usually your most valuable investment. Let Raatz Fence Co. add safety, security, value, and beauty to your property. Call us for an in-home estimate or if you have any questions you would like to discuss. Come visit us in our new showroom at 3050 Element Lane and let us show you how a fence from Raatz Fence Co. can enhance your property We offer sales and installation, for commercial and residential applications, of the following products: chain link fencing, vinyl-coated chain link fencing, cedar and treated pine wood fencing, vinyl fencing, ornamental aluminum fencing and railing, glass and aluminum railing, ornamental aluminum, estate gates, and gate operators. We pride ourselves in our workmanship, so we will only sell quality and long-lasting products. We specialize in aluminum, ornamental, and decorative maitenance free fences, and we offer a 1-year warranty in addition to the standard manufacture warranty. As a company that cares about you, we are fully insured. Not only do we provide our customers with great fences, we also provide quality installation. All our fences are high-quality fences from On Guard Fence Systems and Alumi Guard Fence as well as several other manufacturers based on the customers needs. HomeServ of Louisville is dedicated to provide this community in the greatest possible way of turning your house into the home of your dreams. We offer services from start to finish, weather it is a small remodel, a home addition, or new construction We have built a team of members that are truly dedicated, individually to their job. We can assure you that everyone that works with us takes full pride in their work. That is how we guarantee that our quality of work is number one. Whether you are looking for maintenance to your lawn or garden or just create a new look, Chris' Lawn Care, Inc. is your premier choice. Our designs strive to be as personalized and individual as each customer. Whether it be a design created by Chris' Lawn Care, Inc. or a design created through years of collaboration with Schneider Nursery Inc., (Southern Indiana's Largest Nursery). You are sure to find the finest landscaping experience available. Keeping your landscape looking its best is a time consuming task. When Chris' Lawn Care, Inc. works with a new or existing client, our main goal is to ensure you are happy and build a long term professional relationship with you. 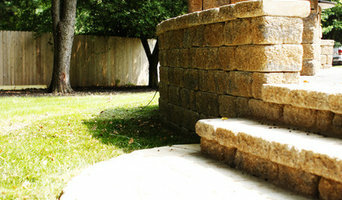 Our landscaping, hardscaping and lawn maintenance services are among the most reliable in the area. With years of experience, Chris' Lawn Care, Inc. has developed a reputation of excellence based on hard work, experience, reliability, value, and fairness. Contact us today to speak with a professional or to schedule a free quote for your next project! 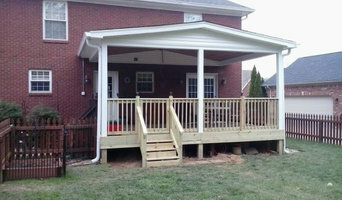 We love what we do and for more than 22 years, Centurian Home Improvement. has delivered solid, top-quality craftsmanship, cutting edge materials, industry leading expertise, and—what sets us apart—the personal touch. Our founder, along with our entire team of experts, will walk you through each step of the planning, construction, and repair process. We respect timeliness and treat every family and home like our own. Our passion is evident in our premium workmanship and our pride in seeing your long-term satisfaction means no cutting corners, no skipping steps. Here at Centurian Home Improvement, we protect what matters most. 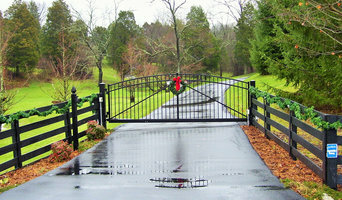 Since 1996 Borders Fencing LLC, a family owned business serving the needs of Lexington residents and surrounding areas. Now, more than 20 years later, Borders Fencing, LLC continues to serve you with a commitment to service and value. Borders Fencing is the company for you! We install all types of fencing including wood, aluminum, steel, vinyl, chain link, plank, wire & split rail. We even custom build fences! 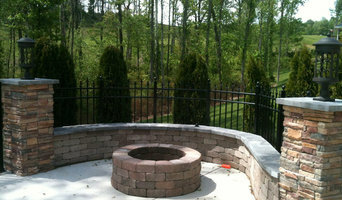 Borders Fencing is licensed and insured, and also offers a 2 year Limited Warranty on labor to ensure quality work. Whether you want to keep your children and pets safe in the garden or get a little more privacy from your neighbors, fencing is important from both an aesthetic and security standpoint, so you definitely want your Crestwood, KY fence installation done right. When browsing Crestwood fence installers on Houzz, look for an experienced professional who has completed projects similar to yours and can provide insight and suggestions on materials and fence designs. Research your options prior to talking with a fence installer in Crestwood, KY as you’ll have a better idea of what you want and need. Additionally, put together a Houzz ideabook with fence styles and designs that you want — this will help your professional turn your vision into a reality.